The National Cathedral rang its bells today for an hour to celebrate the Supreme Court’s decision on gay marriage. 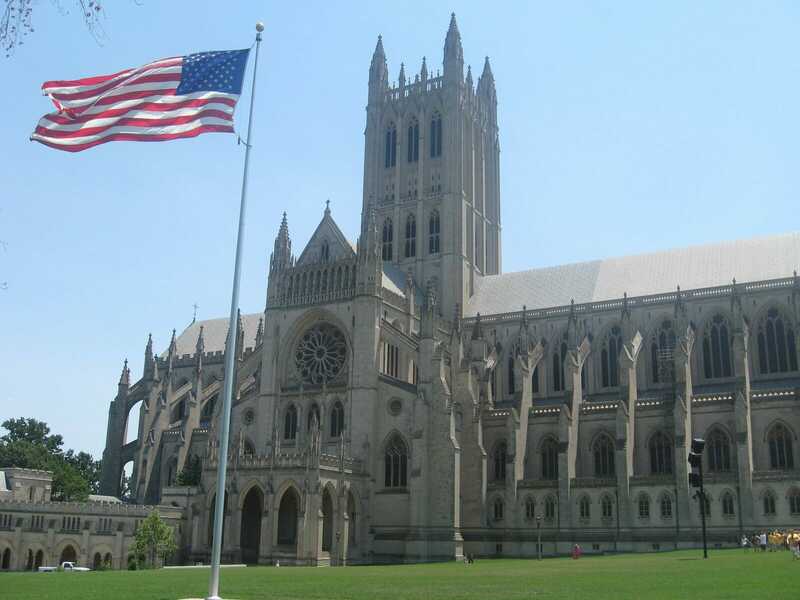 The National Cathedral is pealing its church bells, along with some other Washington churches, to celebrate the Supreme Court’s decisions on gay marriage. Cathedral spokesman Richard Weinberg said the bells rang at noon Wednesday for 45 minutes to an hour. Bells also rang at other Episcopal, Methodist, Presbyterian, Unitarian and other Christian churches.